George J. Kokorelis, P.C. 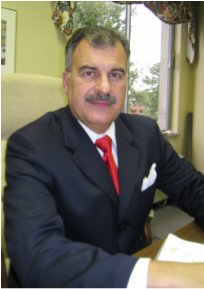 - Richmond, Virginia Criminal Law, Family Law and Business Law Attorney | George J. Kokorelis, P.C. Emphasis on Criminal, Family & Business Law Matters throughout Central Virginia. At the law office of George J. Kokorelis, P.C., you get the personal attention you expect and demand. Our clients come first and unlike the larger firms, I personally handle all your legal needs, with over 30 years of experience. I want you to feel confident that you are in good hands and that your interests are being protected. Our goal is to form a lasting relationship and to exceed your expectations. I clearly communicate my legal knowledge and experience, thereby enabling my clients to make well-informed decisions for themselves. Give me a call today at 804-358-8100 and leave the rest to me. A 10% DISCOUNT WILL BE OFFERED FOR ALL NEW CLIENTS THAT COME AS A RESULT OF THIS WEBSITE. PRINT THIS PAGE AND PRESENT AT THE TIME OF YOUR FREE CONSULTATION.